Those over the age of 30 may remember a time when hip holiday compilations came with Keith Haring artwork gracing the covers, à la A Very Special Christmas. The 2012 compilation Holidays Rule is a modern take on the concept, starting with Fun. 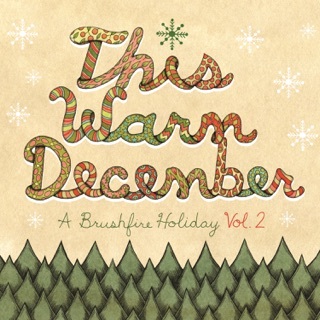 The band's cover of “Sleigh Ride,” dappled with dance beats, is a festive departure from its multi-vocal layered “world indie” sound. But the party really gets started with The Shins doing a Beach Boys–flavored rendition of Sir Paul McCartney’s “Wonderful Christmastime.” McCartney also turns up here, singing a take on “The Christmas Song (Chestnuts Roasting on an Open Fire)” that begs to be listened to by the fireplace, eggnog in hand. 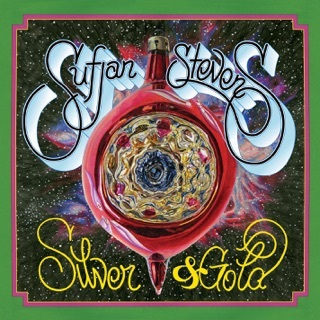 Rufus Wainwright gets all kinds of loungy with the smoky-voiced Sharon Van Etten in “Baby It’s Cold Outside.” Calexico’s “Green Grows the Holly” emits a rootsy Christmas gloom before Holly Golightly’s “That’s What I Want for Christmas” recalls the time in the early '90s when kitschy cocktail music was all the rage and Juan García Esquivel was discussed with the same reverence as The Beatles. I think this is a nice collection of Holiday classics. 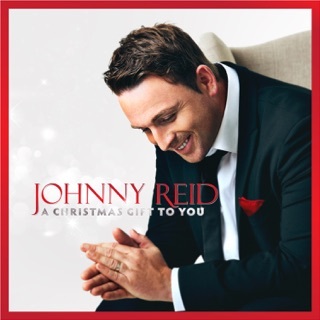 Fun.’s “Sleigh Ride” is terrific! 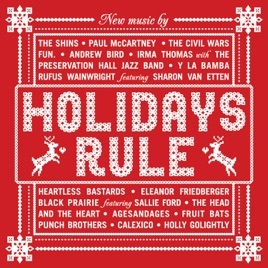 And it’s funny to see The Shins covering Paul McCartney’s “Wonderful Christmastime” while two tracks down Paul singing “The Christmas Song.” Another compilation to check out is “This And That For Christmas” that features some talented indie artist. 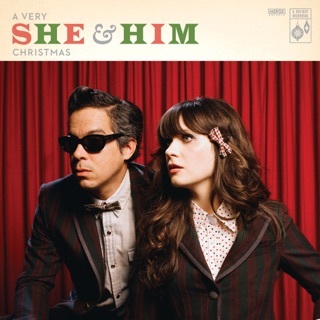 I just want to buy Fun's Sleigh Bells!!!!! 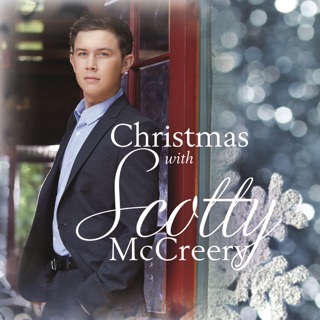 Is there a way to buy it as a single anywhere?? Thumbs up to man-crushes on James Mercer. Paul McCartney's rendition of The Christmas Song is beautiful. What would you expect?